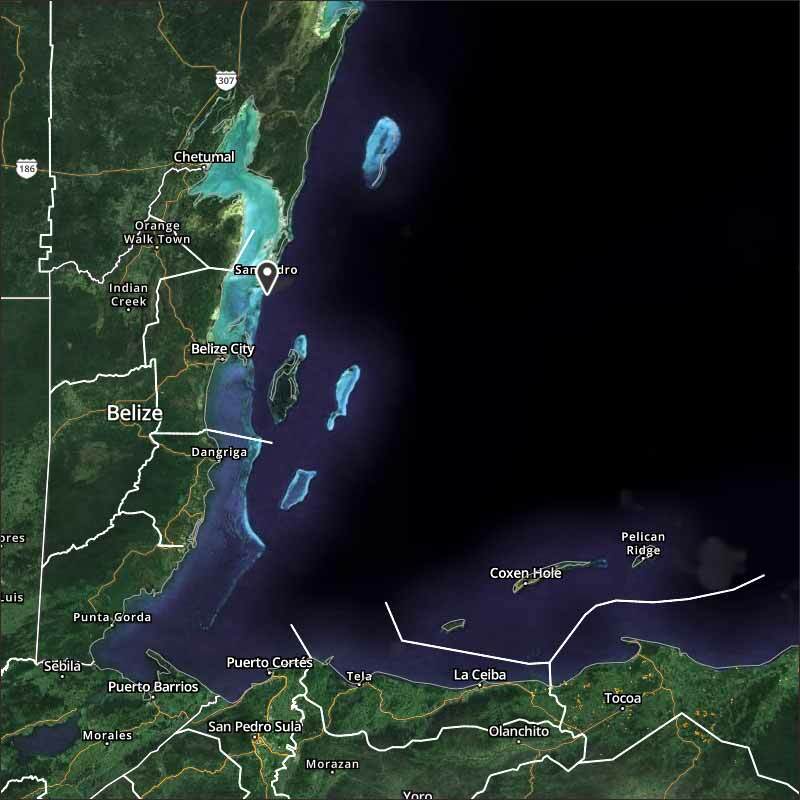 Belize NMS: Fair and dry weather prevails and is expected over the next few days. 24-hour forecast: Skies will be clear to partly cloudy tonight and sunny tomorrow. Little or no rainfall is expected. 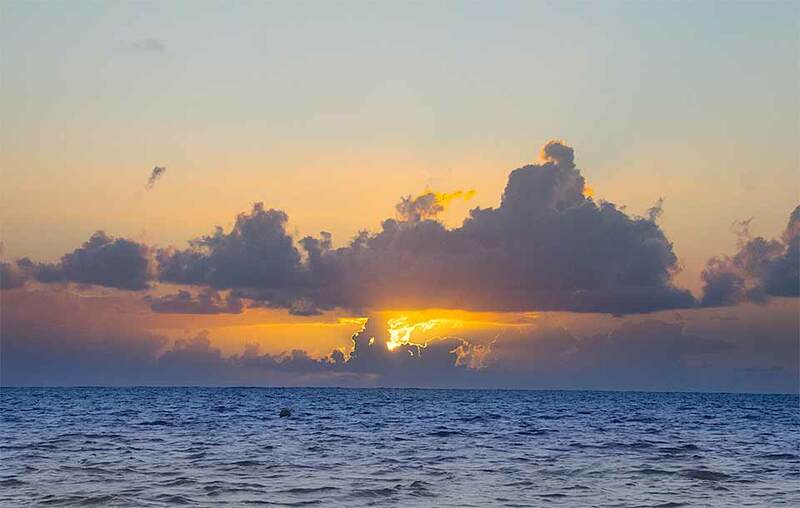 Today: Winds: East 5-15 kt; seas: Choppy; waves: 3-4 ft; little or no rainfall. Tomorrow: Winds: E-SE 5-15 kt; seas: Light chop - choppy; waves: 2-4 ft; little or no rainfall. Marine Outlook: (Monday night) Winds: E-SE 5-15 kt seas: Choppy; waves: 3-4 ft; little or no rainfall. General Outlook: For Monday and Monday night is for continuing mainly fair and dry weather. On Ambergris Caye this morning another beautiful day for the Spring Breakers, gentle breeze from the East, Calm sea, clear sky and with an expected high of 84. The cool air continues to come down from the NNE with a few patches of cloud. There has been a little medium height cloud come over from the west. The Gulf is a mixture of air moving in several different directions, the cold front over Texas is breaking up. 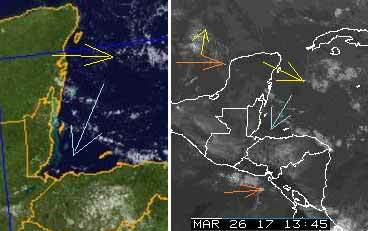 There is no easterly Caribbean wind at present, but that is driven by the sun, so as the day warms up, the easterly Caribbean wind will pick up. Looks like today will be mainly sunny, white clouds building this morning, little or no rain expected.